Life has been lazy, lazy these days. After all, these are the days of ‘lazy hazy crazy days of summer’, right? Unfortunately lost in the excitement of summer, is the routine of regular cooking. Actually that was the case ever since I came back from my winter stay in the tropics, where all I had to do was appear at the dining table to be pampered with mouthwatering food, all my favourites Now I had to get back to my regular routines. You can survive only so long with eatouts and takeouts and leftovers and quick fix solutions. But the lazy bug had bitten me real hard and I needed a magical cure to defeat it. 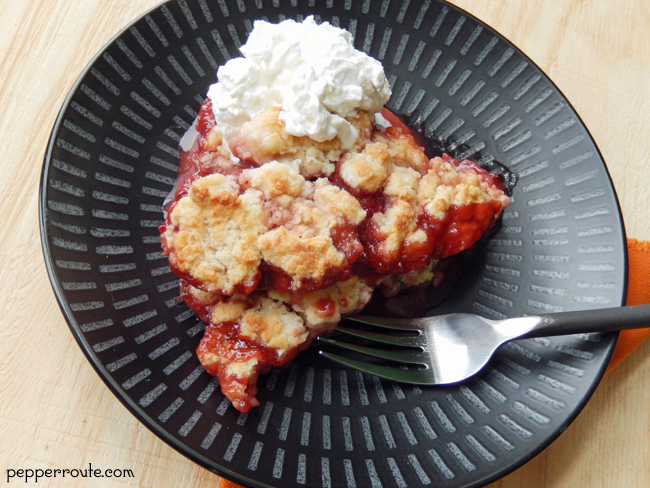 So, I devised a plan to cook (or rather bake) a bunch of stuff I love to cook and eat and serve… like fruit cobblers, coconut macaroons and flancocho and tres leches cakes. I knew… I knew what it will do to my weight, but who is afraid of a few desserts in the season of fresh vegetables and long walks? Pffft! First in the plan was a strawberry cobbler. 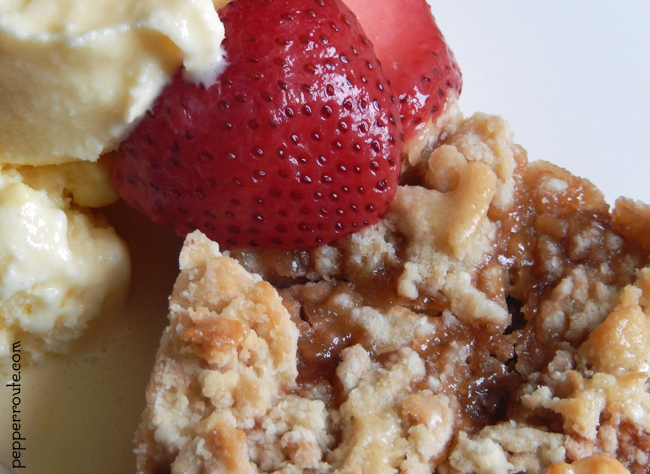 Fruit cobblers are great in that they do not need much sugar to taste great. 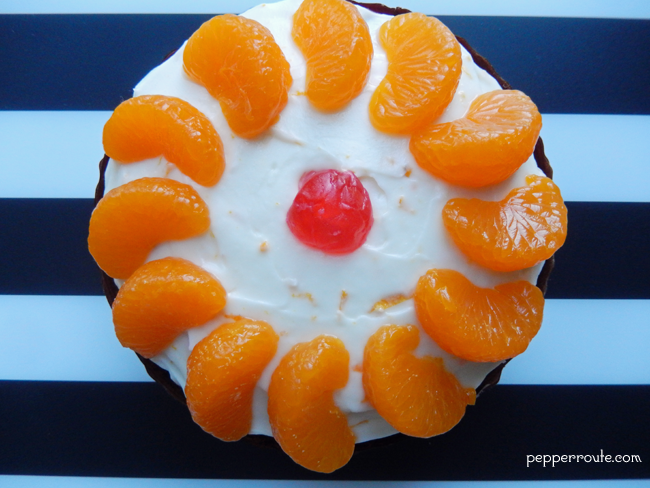 The natural sweetness of the fruit is brought forward by the concentrating of flavours that happen while baking. So winners all around. 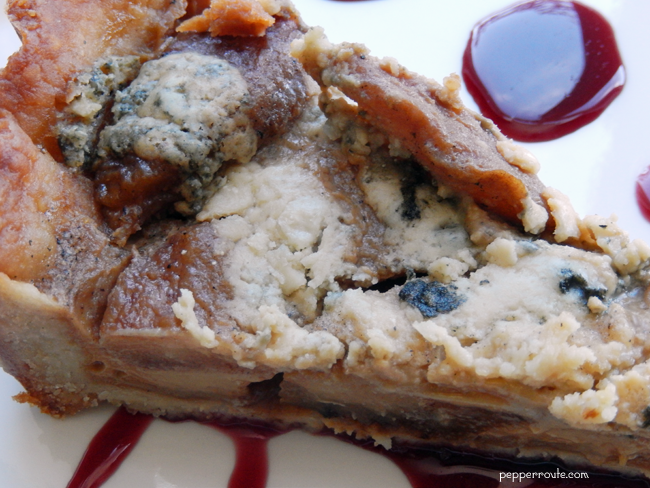 Apparently, cobblers are fairly newcomers on the food scene. The British settlers in America found that it was impossible to make their traditional puddings with the ingredients available to them in the new land. I have been trying to determine the etymology of the word ‘cobbler’ without much success. My best guess would be that the name originated from the cobbled together appearance of the dish when done. 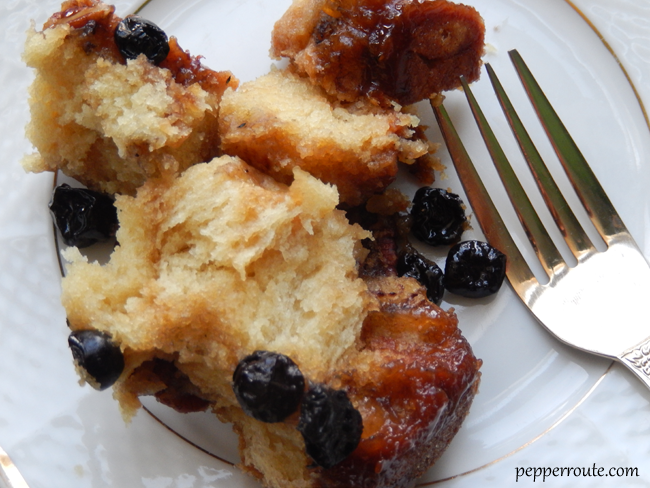 This cobbler can be frozen, tightly wrapped in aluminum foil. However, do not warm it up in the microwave; that will totally ruin it. The oven at 350 degrees is the only way to go. 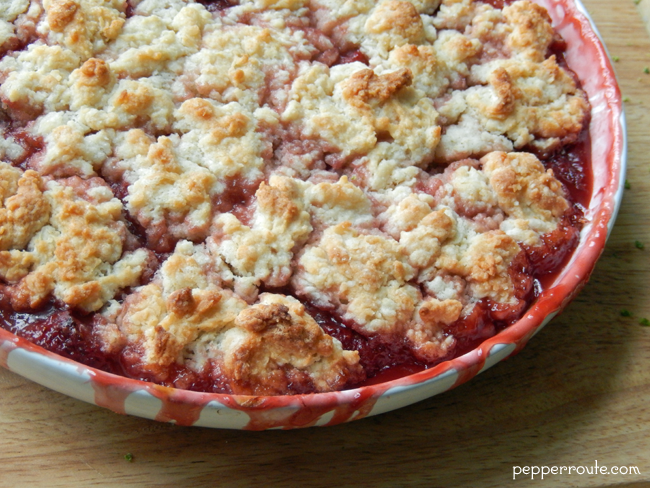 The best thing about fruit cobblers is that you can whip them up in a jiffy… you see some excellent ripe fruit in the farmers’ market and 30 minutes after you get them home, the cobbler can be starting to bubble in the oven. That quick and easy! 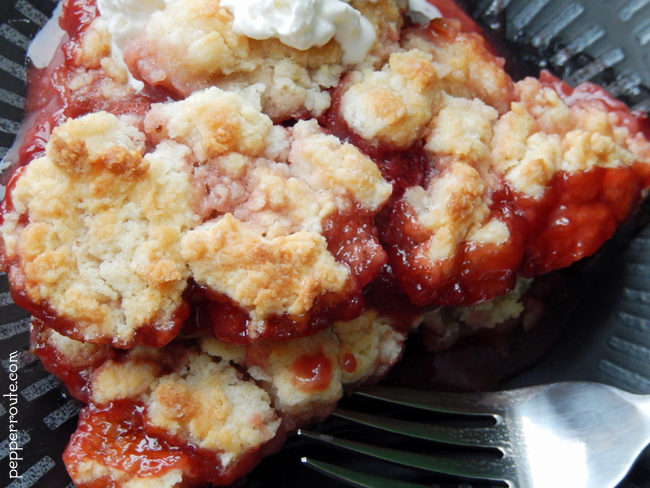 The strawberry cobbler comes out great whether you use fresh strawberries or frozen. 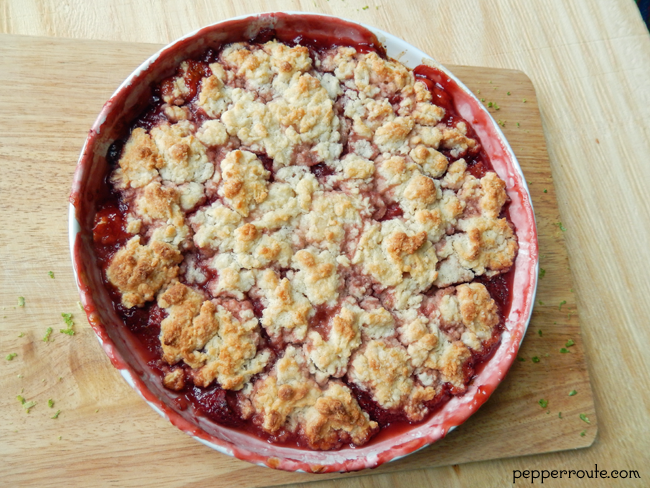 If using frozen, make sure that you use whole strawberries and not slices which tend to sort of disintegrate. 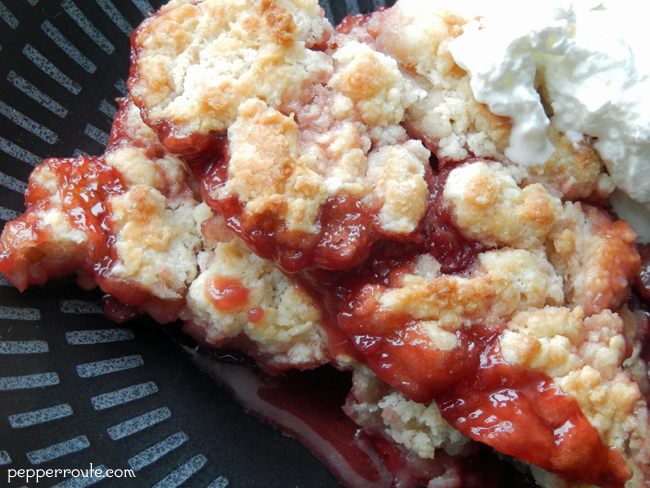 Adding a bit of strawberry liqueur can give the cobbler an extra oomph, but that is strictly optional. The strawberries on their own provide enticing flavour enough. Though fruit cobblers are made from mixed fruit as well, I prefer the single fruit varieties with their individual personalities and flavours. Clean and husk the fresh strawberries and slice them in half. If using frozen ones, leave them whole. 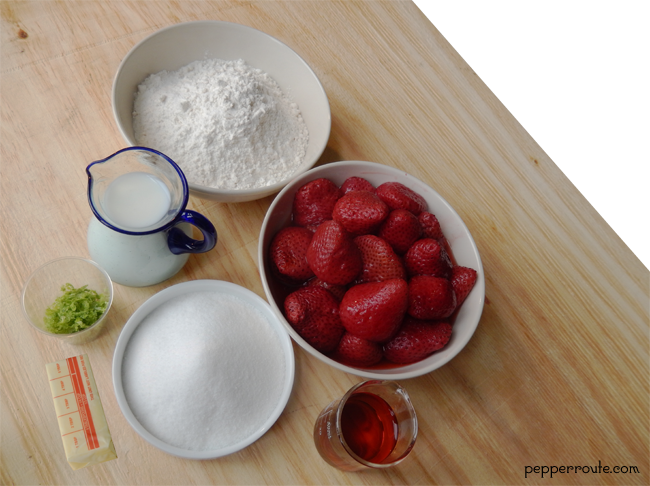 In a medium bowl, gently mix together the strawberries, 3 tablespoon sugar, 2 tablespoon flour, and the lemon zest. Also, add the strawberry liqueur to the mix, if using. To make the topping, mix together the remaining flour, sugar, baking powder, and salt in a large bowl. 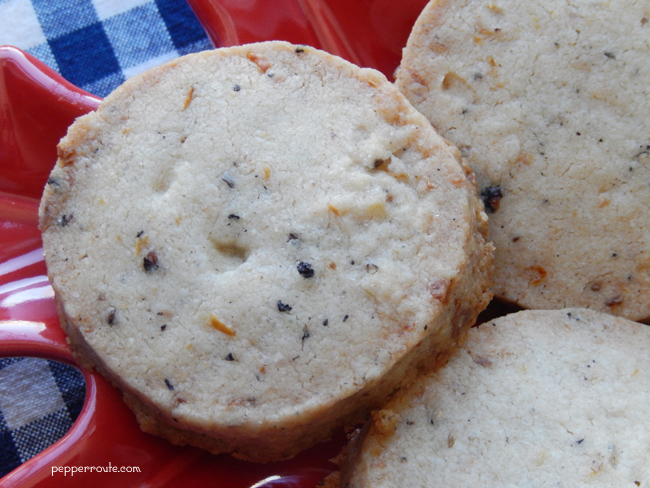 Cut the butter into small pieces and rub into the flour mix till it resembles coarse bread crumbs. Sprinkle just enough milk over the flour and gently stir together, till it starts to come together. 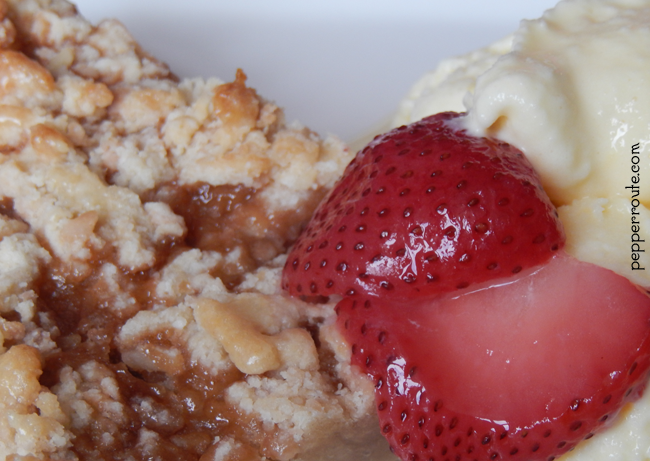 Distribute the topping uniformly over the strawberries in the baking dish, till the fruit is more or less covered. Small gaps in the topping does not matter. Bake in the center of the preheated oven, for 30 minutes or till the topping is golden brown and the fruit is bubbling. 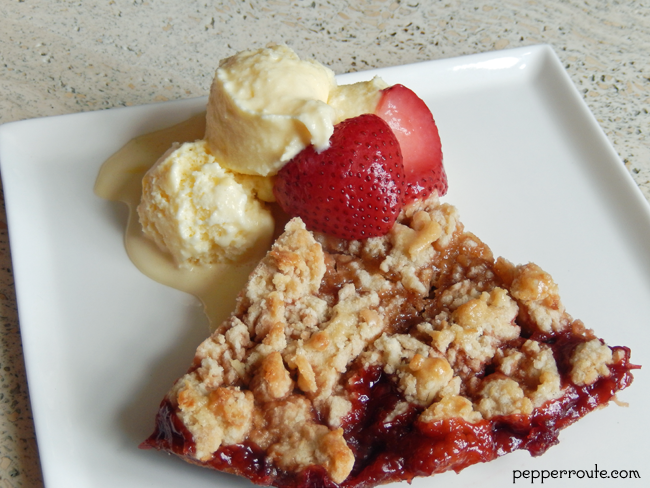 Serve with vanilla bean ice cream or whipped cream. This looks so pretty & yummy! I have to definitely try the recipe! It tastes as good as it looks! Let me know how it goes.